While Acting cannot be tackled successfully with tidbits there are a few things that really help when it comes to crunch time. As I have said in other articles – Audition technique 101 – small things can make a big difference. A good mindset and a proper technique can be the difference between getting the job and not! There may be tens if not hundreds of people going for that job and the small things really do add up. This article is not going to go as in-depth as the books produced by this website or the longer articles. It is meant to serve as the 4 main factors I see when auditioning other Actors and auditioning myself. The main tool of the Actor is the written word! Violinists have the bare building blocks of string on string whilst dancers use their body. Painters have their easel and brush whilst a drummer has his/her sticks! For the Actor the most important tool in your arsenal is words. That means that your relationship with words and your familiarity with them is absolutely key. I keep up that relationship by reading all the time. I have books all around my flat and I read good quality content on my phone every day. As well as this I try to speak from writing out loud to keep up my skills for sight reading! I realize that some people may have learning difficulties or aren’t adept with words. Others simply don’t enjoy reading and literature is something they have to put up with in their job. However, in my general experience, there are a lot more people who are simply lazy than there are genuinely talented individuals. It is much more likely that if I say “read all the time” on a blog I will be speaking to someone who doesn’t realize how hard they need to work on their vocabulary. There are those people that choose to plug in their headphone and listen to “Eye of the Tiger” before an audition. The sort of person that will pace up and down the waiting room and bite their nails. If anyone has gone to a lot of auditions you can spot these people a mile off. I have been on both sides of the audition room and I can tell you that their energy follows them wherever they go. When they walk into the room it is as if a dark cloud has suddenly precipitated and everything turns a little tense. If you have done your preparation correctly and if you have confidence in yourself then you don’t need to wind yourself up for your audition. At that point there is nothing else you can do. You have learnt the lines and you have studied the character within the context of the play. 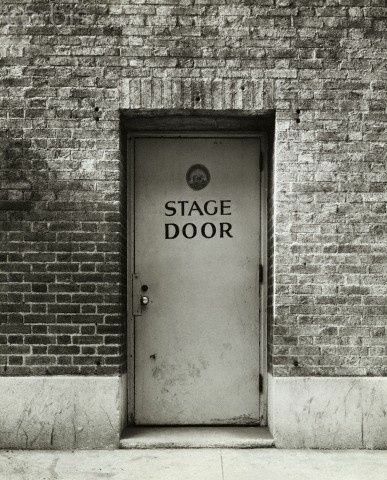 One of the best tricks in order to shake off nerves before an audition is to stay social. An intensity might be needed in your speech I understand that. However, a truly gifted Actor is able to access the emotions of a given circumstance instantly. There are hundreds of people who psyche themselves into crying but you can tell those gifted few that truly dive into their part truthfully. This is something that I have covered extensively in another article: Audition Technique 101. So if you want further reading then I suggest you check that out. Or check out the best books on Acting. This is more for those professionals who Act for a living or have left Drama school. However, it can also apply to those people who might be taking a break or who are deciding whether or not they are going to take Acting to the next level. The craft of Acting relies heavily on imagination and the creativity of your brain believing certain scenarios. In that sense, it is like a muscle and anyone who has been to the gym knows that muscles need to be used constantly. Believing you are a character and the act of making a script comes to life requires exercising that muscle. Much like your biceps or your quadriceps if they are not used then they will not grow. Stagnating in a craft is exactly the same. I used to enroll in Saturday performing Arts classes which would include dance and singing lessons. What was fantastic was that every week I was exercising muscles that would help me in the future. Even if you can’t afford classes in the evening or weekend then I suggest every week you read a play aloud. Even reading a script with a partner can help. It doesn’t take much but it will mean you keep exercising that muscle! If you aren’t enjoying the craft of Acting then I do not blame you. After training and becoming professional there is a host of worries that can nag at your heels. A lot of Actors struggle with finding decent work and flexible jobs can be unfulfilling. When the bills start piling up and the work starts drying up then that is when a lot of people struggle. Even if you are just starting out the nerves can be crippling and the waiting for responses can be nerve-shredding. I am not saying this to put you off it is because I understand. I have had all of the troubles above at various points in my career and I can tell you that it doesn’t get any easier! It is in those difficult times that I think about why I got into Acting in the first place. Drama is something that nourishes the soul. I try to remember that his profession gives back in many ways that cannot be measured. Nothing in life is wasted if it is done with passion and enjoyment is part of that. When the stress, nerves and daily struggles start to get to me then I try to think back. I try to cast my mind back to those original reasons that Acting helped me so much in life.